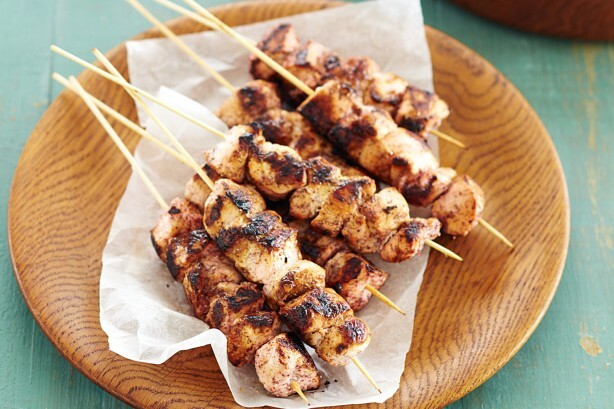 You’ll need 8 pre-soaked bamboo skewers. Combine garlic, lemon juice, sumac and oil in a large glass or ceramic bowl. Add chicken. Stir to coat. Cover. Refrigerate for 2 hours, if time permits. Thread chicken onto skewers. Heat an oiled barbecue plate on high. 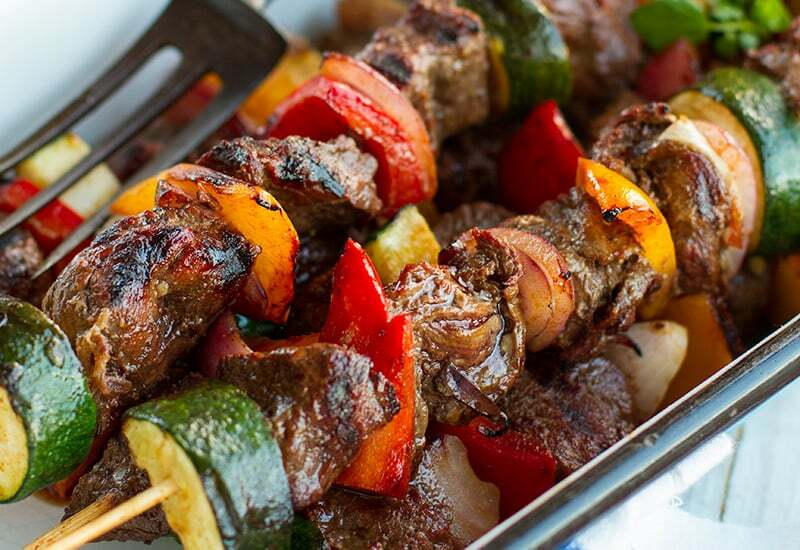 Add skewers. Reduce heat to low. Cook, turning occasionally, for 10 minutes or until chicken is cooked through. Transfer to a plate. Cover with foil. Rest for 5 minutes. Serve.